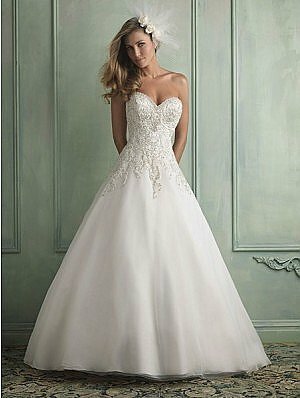 Here is your dream gown, Allure Bridal 9120. Allure Bridals 9120 is a stunning strapless number with a sweetheart neckline. You will love the feel of the soft netting fabric as well as the embroidery, which has been integrated throughout the bodice. It has a full A-line skirt for maximum effect and elegant impact with additional accenting in the form of lace appliqués on the back of the skirt. 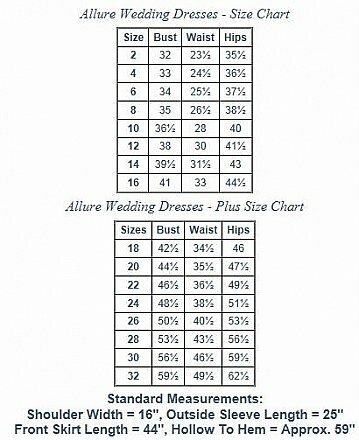 There are buttons down the back of the dress and providing the ultimate fairy tale bride element is the chapel length train.